When you ask the general population what does a Chiropractor do, most often you’ll hear the response, “They crack backs”! While this is somewhat true, Chiropractic Therapy is more than just a crack here and a pop of the spine there. Our main focus is to identify areas of stress, tension and interference on the spinal cord and spinal nerves. An adjustment to the spine releases this stress, tension and interference which reduces pain, irritation and allows the body to naturally heal itself. Well, what if you have an ache, pain or injury to an area that ISN’T the spine? Can Chiropractic still help with that? The Doctors at Hatch Chiropractic have degrees in Sports Medicine as well! We are amongst some of the top Physicians in Parker in identifying and treating shoulder, elbow, wrist, hip, knee, ankle and foot problems! Besides the traditional adjustment we can provide to the joints, we are also certified in Graston Technique, which specifically targets joints outside of the spine. Graston Technique® is an innovative, patented form of instrument-assisted soft tissue mobilization that enables clinicians to effectively break down scar tissue and fascial restrictions. The technique utilizes specially designed stainless steel instruments to specifically detect and effectively treat areas exhibiting soft tissue fibrosis or chronic inflammation. It can break up old scar tissue, separate layers of muscle-tendon-ligament(s), and reduce chronic muscle tension. This specific form of treatment is very effective for plantar fasciitis, shin splints, carpal tunnel syndrome, minor rotator cuff injuries, and the garden variety neck and back pain. Originally developed by athletes, Graston Technique® is an interdisciplinary treatment used by more than 11,500 clinicians worldwide—including physical and occupational therapists, hand therapists, chiropractors, and athletic trainers. The Doctors also employ the use of cold laser over the treated tissue to speed healing time and decrease inflammation. 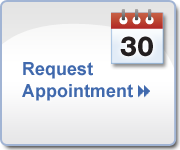 If you or anyone you know is still suffering from injuries or chronic aches and pains in their joints, schedule an appointment today.